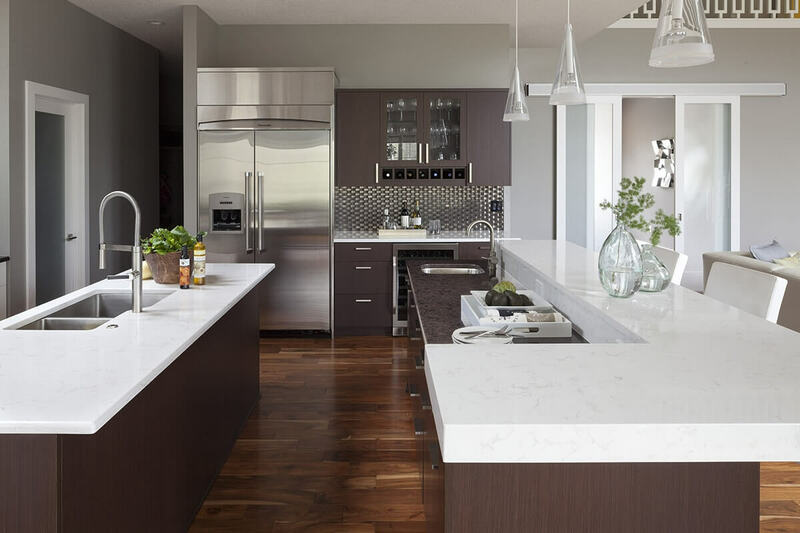 Looking through the latest design magazines, you may see that there is still a retro influence in kitchen design with curves making a big appearance. 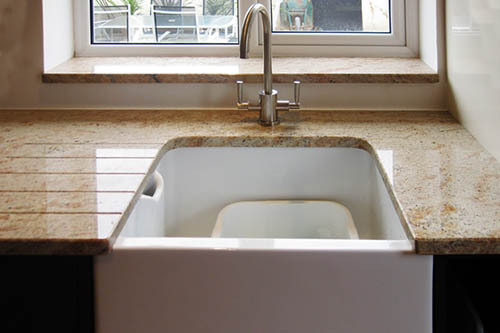 Curved fronted drawer units, curved ends to peninsulas and islands, even large curved handles feature. 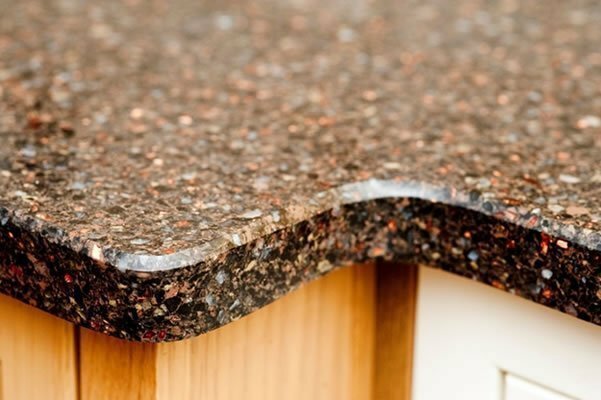 The beauty of granite is that you can match these curves in the worktops. 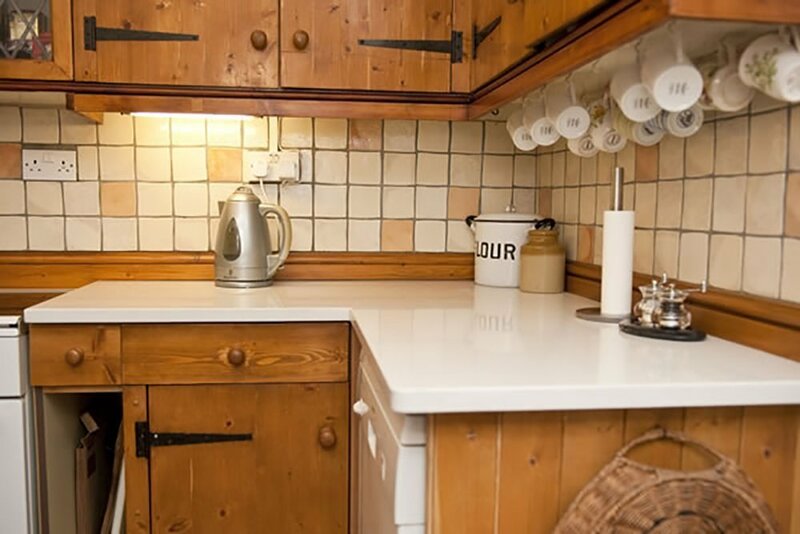 The contemporary/retro theme continues through into colour and texture with gloss fronted cabinets side by side with the strong grain of dark Zebrano wood. There are a lot of warm rich woods such as Zebrano, Walnut or Cherry available at the moment with the dominant and horizontal grain giving it a a contemporary flavour. 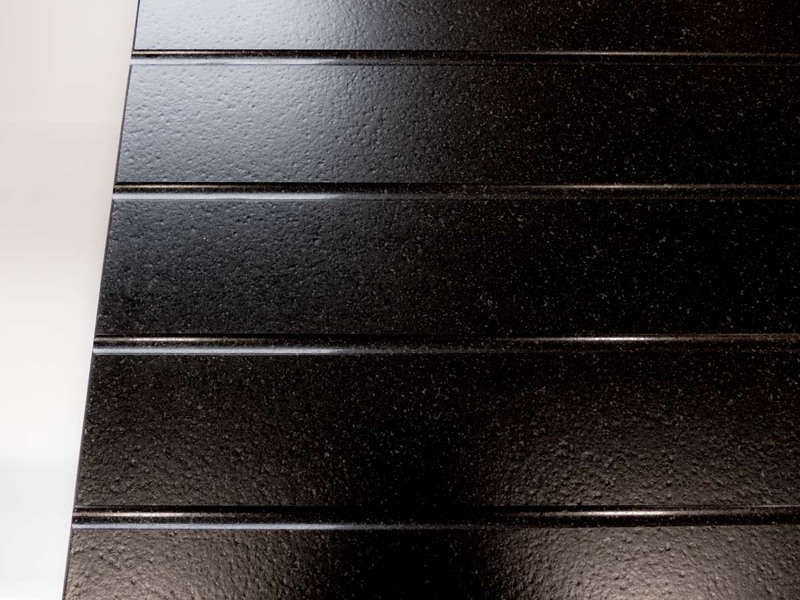 The current trend is to mix and match dark with light, using wood side by side with high gloss white doors. 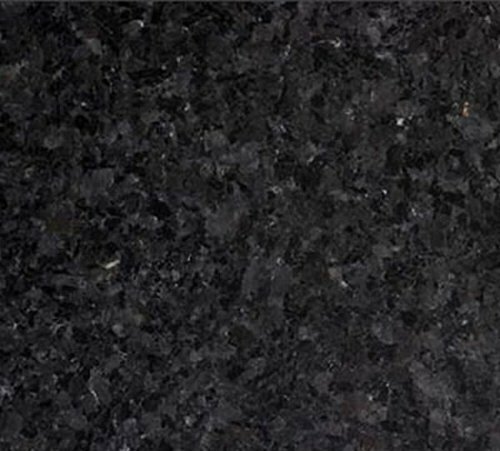 These darker woods are beautifully contrasted against really light worktops such as Kashmir White. 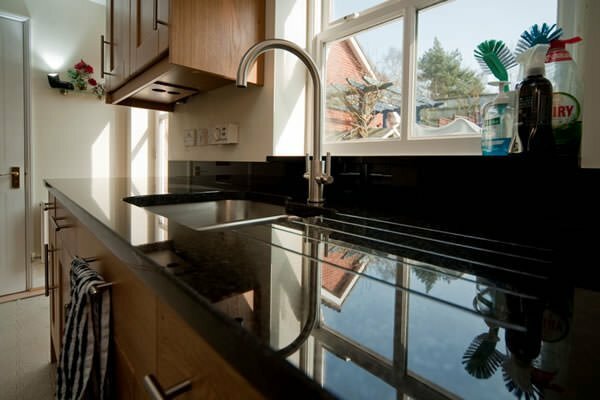 If however you have a smaller kitchen and don’t have the room to mix and match or you are worried about making it look too busy then you may prefer to choose a light reflecting white gloss door throughout and team that with a Tan Brown granite worktop to add richness, warmth and texture. 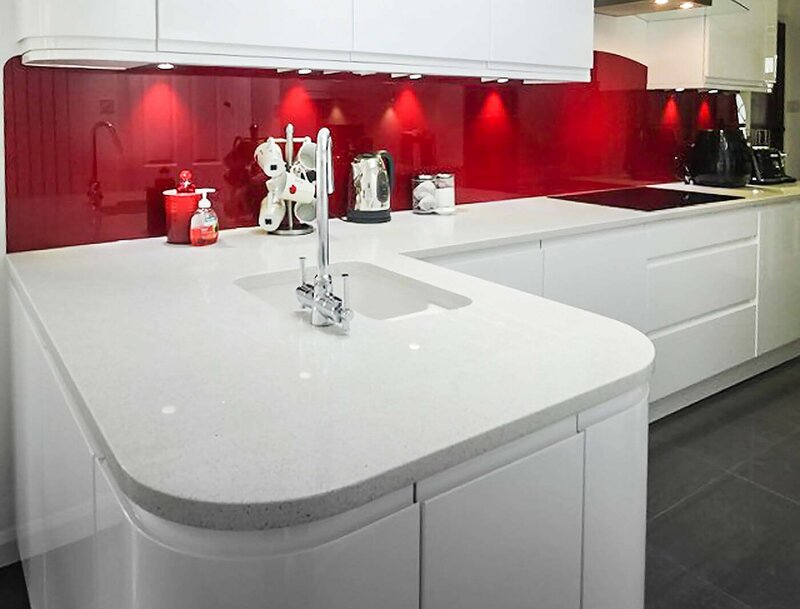 There are still a lot of coloured kitchens around and if you are looking for something to really make a style statement how about high gloss Aubergine cabinets combined with Kashmir White worktops. 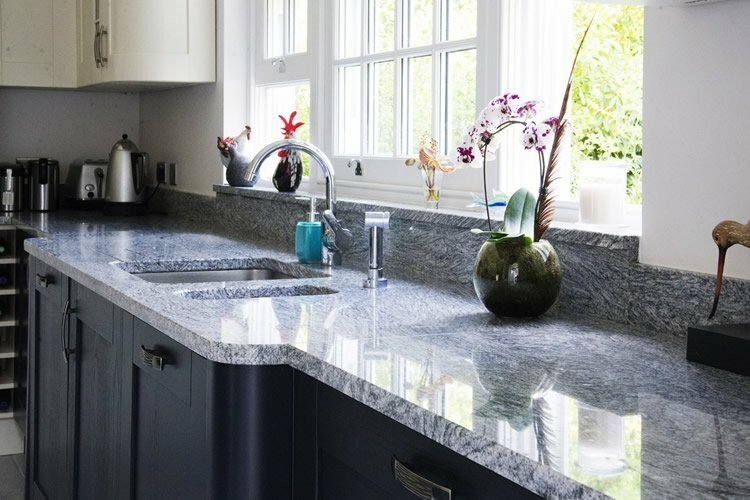 White worktops are highly popular at the moment and one of the key looks for now is contrasting plain coloured units with white to create a dramatic contrast/ This can continue through into the worktops with a plain black granite such as Nero Assoluto or, to compliment your stainless steel appliances, how about adding texture with Steel Grey granite worktops. 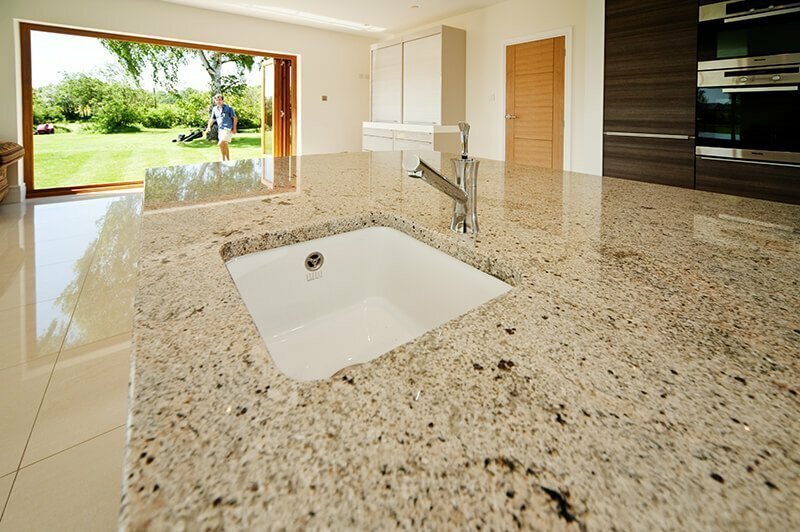 If you would like samples or any of our granite or quartz or would like to visit our showroom / workshop then please contact our office on 01293 863992 or contact us online.